Even if I’m yours. I still need to feel wanted by you. Just because you know you got me and you don’t think I’m going anywhere anytime soon. It doesn’t give you the right to start treating me differently. 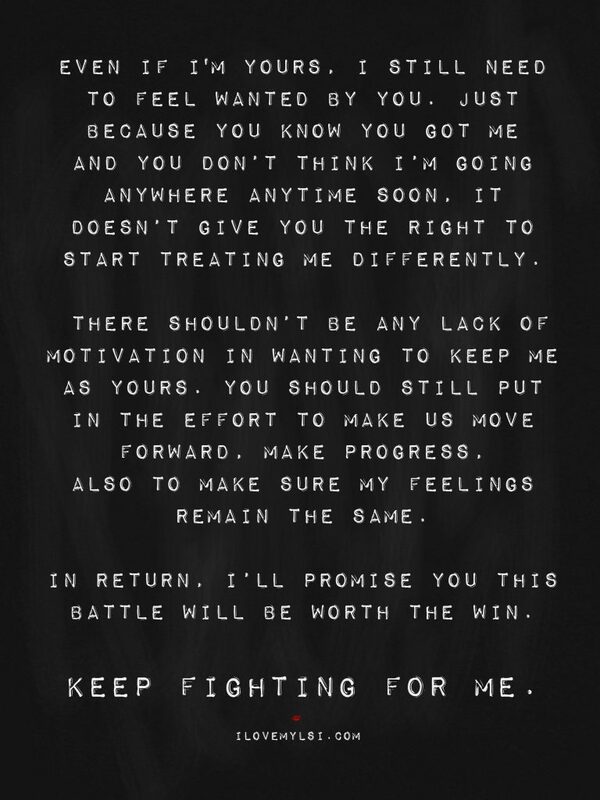 There shouldn’t be any lack of motivation in wanting to keep me as yours. You should still put in the effort to make us move forward. Make progress. Also to make sure my feelings remain the same. In return. I’ll promise you this battle will be worth the win.